Sew what's cooking with Joan! 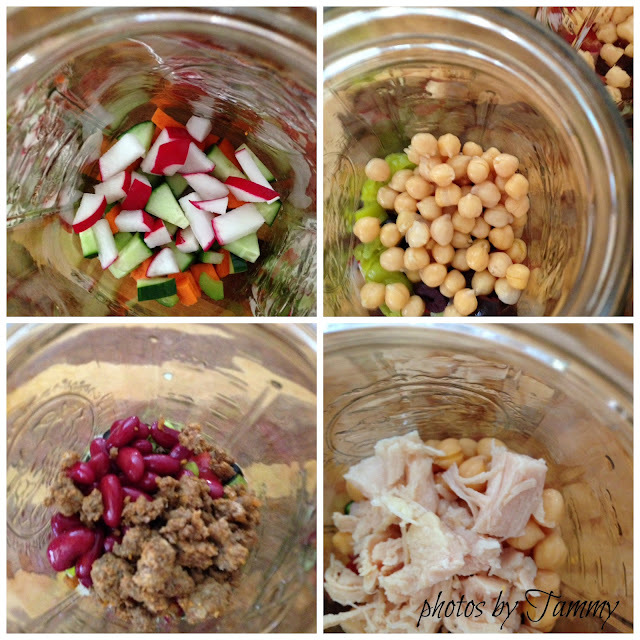 : How to pack "Salad in a Jar"
A school mate of mine, Tammy posted pictures of her weekly making of "Mason Jar Salads" for her and her husband. It looked so yummy, I asked if she's send me pictures when she had time. Not only do they look amazing, but, you can do a weeks worth of lunches, store in the refrigerator and save a lot of time! What a great idea to start the New Year out on the right foot! 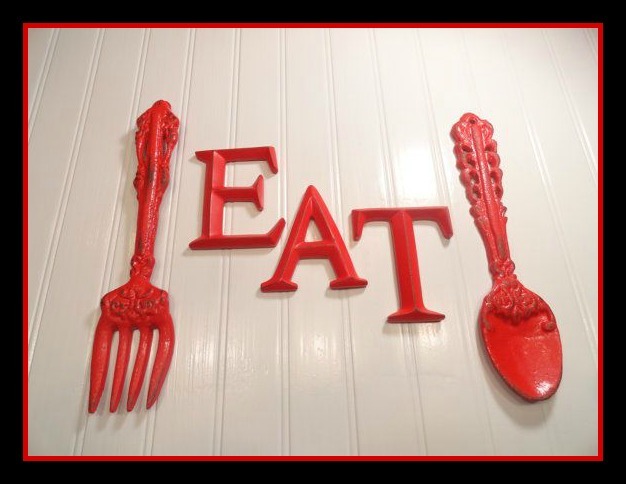 Whether you have started a new healthy style of eating or you want to save time and money, this is brilliant! Mason jar salads are just that, a salad in a jar. I'm not sure who came up with this concept, but I think it is genius. 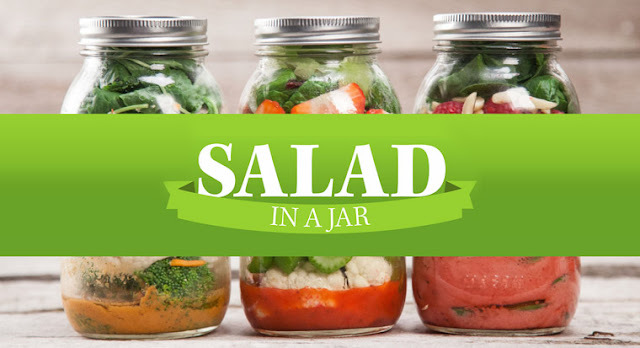 Storing the salad in a glass jar keeps it fresh for 5-7 days. Prepping according to Tammy, is 1 hour from start to clean up and couldn't be easier than this. There is a special technique to the salad assembly to keep all the contents fresh. Start with a clean, dry wide mouth mason jar (moisture is not your crisp salads friend). Tear do not cut your greens, as the edges will brown. Stage your ingredients, this makes it easy to make multiple salad jars. The vegetables and protein need to be layered in a particular way. Place a folded paper towel at the top of the salad, it will absorb some of the excess moisture and keep your greens crisp. Avoid strong odors, they may affect the other ingredients. You may want to bring them along in a separate baggie. When it is time to eat just pour your salad out on a plate, toss and EAT! Such a great way to enjoy your lunch and save time! 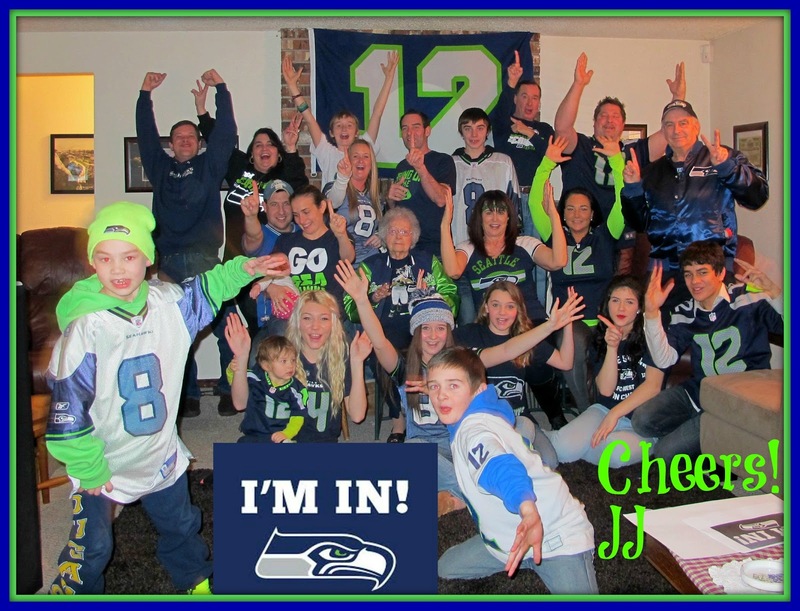 Thanks Tammy for sharing!